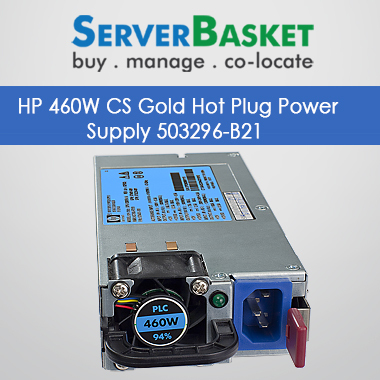 Buy server power supply online at server basket to wake up your dead server. Our 1000+ models power up your Dell, HP, IBM servers delivering effective solutions at entry level prices. Check our robust, high-quality power density and reliable server power supply devices available along with 90 days warranty and 7 days return back policy. Order now immediately to keep your data center up. 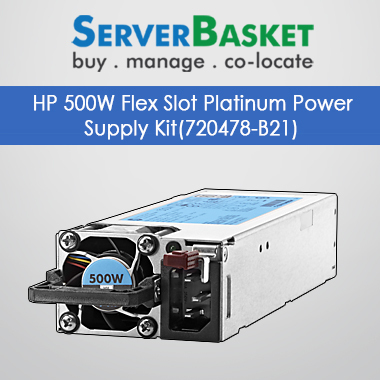 We have the huge range of server power supply models for your high-end Dell, HP, IBM and Cisco servers to power up them. Our wide range of 1000+ different power solutions are compatible with all the leading brand servers serving all your data center needs and keep running it up all the time. Cost effective power solutions are now in our basket to offer optimized power configurations and standard power supplies to every server. Our server power supplies deliver high power to ensure your business continuity without any downtime and also helps you reduce power wastage. Efficient and powerful power supply devices are available on our website with power management strategy, high efficiency, battery management and continuous monitoring services. we offer you top grade power supplies with high-end specifications that help in offering optimized power solutions to all your business servers and reducing field risk failures. We give you power supplies with 90 days warranty, to deal with any issue or defect that affects the performance. In case of any issues, we support our services during the warranty period until your issue are resolved. Try to contact within the warranty period to avail any replacement or services for free of cost. We have clear warranty terms and conditions to fit all your needs and be more advantageous to the customer. Amazing 7 days return back policy is Available for all the server power supply devices on server basket. In case of any damage or dissatisfaction, return the product immediately within 7 days and we initiate the refund or try replacement based upon customer request. Replacement can be done only in case of stock availability otherwise the only refund can be made. we at server basket has very easy return back policy for customer convenience. We offer free instant delivery of your server power supply within 2-4 business days. We deliver to any customer location all over India such as Delhi, Mumbai, Hyderabad, Chennai etc. we offer you a trouble-free shopping experience at server basket by delivering your product safe and securely at your doorstep. We don’t even charge additional shipping charges in case of return back or during the warranty period.